The article addresses the dualistic legal paradigm prevalent in South Africa's approach to recognising rights in land. The system of title is characterised by precise and quantifiable mathematical formulae formalised through paper records that convey proprietary powers to registered owners. This view is contrasted with the characteristics of land tenure among African families with freehold title in the Eastern Cape who trace their relationship to their land to forebears who acquired title in the nineteenth century. The findings show that relationships reminiscent of 'customary' concepts of the family are not extinguished when title is issued. The land is viewed as family property held by unilineal descent groups symbolised by the family name. This conception diverges considerably from the formal, legal notion of land title as embodied in common law, and from rules of inheritance in official customary law. African freeholders' source of legitimation of successive rights in land is not the 'law' but locally understood norms framed within identifiable parameters that sanction socially acceptable practices. The conclusion raises broader questions about the paradigm that informs South African law reform in a range of tenure contexts, suggesting that current policies are poorly aligned with the social realities on the ground. This article4 examines the outcomes of the imposition of European paper systems of registration of freehold land ownership on African ideas and practices about land access and control. The evidence is drawn from two African freehold settlements with long-held title in the Eastern Cape, one in an urban setting and the other in a rural one. These sites were among a handful of others where freehold tenure survived the turbulent journey towards racially segregated systems of land access and control, albeit in an adapted form. European concepts did not replace African social systems and ideas about property, but nevertheless affected the parameters within which these values were expressed. We trace the evolution and construction of the formal system of title, in the shadows of which African freeholders adapted an alternative normative approach drawing on 'customary' concepts of family and ownership. The findings raise questions about the reach of legal regimes that attempt to legislate social change from above, and how tensions are generated by practices that resist them from below. The disjunc-ture between the two levels is revealed in contrasting perspectives between African and western ideas of holding and transmitting land, which turn on different modes of framing social and kinship relationships. These differences result in contrasting interpretations of the significance of the paper title. The monopolistic devices used by the state to transform tenure relationships have not obliterated African ideas. The dynamic was never a simple one-way relationship over which Africans had no control. African ideas have made an impact on private ownership and paper systems in curious ways. African social systems do not readily yield to naming on title deeds and formal subdivision, or to the rules of the market.5 A variety of paper systems across the tenure landscape compete with locally recognised property arrangements that hinge on social relationships and networks. The divergent approaches raise questions about law reform that attempts to redress historic imbalances in land ownership. Land surveying was undergoing phenomenal transformation in the direction of precision and sophistication, tapping into global scientific advancements in the field of spatial measurement through astronomy.14 The heady days of scientific developments in the west overlapped with some tenets of Cape liberalism, which imagined that the global appeal of western values associated with 'civilisation' would replace customary norms and values. The availability of new instruments and techniques for spatial measurement at the Cape15 resulted in the systematic division of much of the Xhosa-occupied territory into farms for European settlement schemes as well as chopping up incorporated African settlements into small village plots. The theodolite, an instrument that could measure large areas of space by means of angles in the horizontal and vertical planes (a method known as triangulation) revolutionised the scale and precision of surveying.16 After 1857 theodolites were compulsory in the Cape for recording numerical data to replace graphical data on survey diagrams.17 The dynamism of these developments resulted in the growth of what was to become a robust and influential private land surveying industry in South Africa, adding to the professionalism of South Africa's property system. In short, the earlier legacies of title for Africans lost support as a policy choice by the Union government. Existing titles were merely to be tolerated within a growing contemporary vision by colonial officialdom in the early twentieth century that Africans were better suited to tenure in collectivities under truncated customary arrangements dubbed 'communal' tenure. These policies found justification in evidence led in government commissions that, inter alia, investigated native 'law and custom'. The findings included a negative appraisal of African responses to title.24 The officially constructed communal tenure systems were to be regulated by administrative rather than parliamentary oversight, which meant that all matters concerning native administration were both conceptualised and enforced by the executive branch of government under the guidance of the reinvigorated Native Affairs Department.25 The Native Administration Act of 1927 created a structure of African governance by proclamation. The proclamations and their regulations were drawn up by white officials of the Native Affairs Department without recourse to the legislature, except for mere rubber-stamping. African freehold did not escape the racial framework of 'native administration', and over time African freehold settlements were absorbed into racial land zones termed 'locations', 'homelands', 'bantustans' and 'group areas'. The increasing stress on racial difference in native land policies meant that African freehold' never functioned on a level playing field with 'white freehold', but neither was it entirely extinguished. Rather, African title was pushed into the interstices of native customary law and the common law, neither of which captured or reflected the practices adopted by African freeholders discussed below. Deeds systems are also known as 'negative' systems by virtue of the definition that the state does not directly guarantee title. In South Africa the state provides substantive backup in statutory form and in public provision and staffing of deeds offices, which introduces strong state ( 'positive') oversight, and is thus a home-grown hybrid system.32 The most important land administration functions are, however, carried out by professionals - land surveyors, legal conveyancers and planners. This contributes to the professional quality of South Africa's property system, where significant land management functions are in the hands of the private sector. The mainstream property system implies one-to-one relationships between property owners and property objects, called 'things' in law.33 Property law in South Africa moved away from flexible English models in the direction of strong emphasis on singular ownership. What this means in practice is that the model cannot accommodate fragmented ownership or co-incidental rights by multiple parties in the same parcel, though such nuances are in theory tolerable in western models.34 The latter was an option that the South African legal system consciously chose to reject.35 Instead, different levels of rights are clearly distinguished and registered; for example, a right of way over someone's land has to be surveyed and registered, not simply regulated through common-law rules; and boundaries must be mathematically surveyed, as opposed to reliance on geographic or natural boundaries like hedges or rivers. Moreover, rights of inheritance where there is no will36 must be meticulously quantified according to succession rules, nominating particular individuals in the family as heirs,37 and each transfer and name must be registered. This context is relevant to the discussion that follows in that one could characterise the bundle of rights38 held by title in South Africa as a tightly bound rope of ownership.39 This model within the private ownership paradigm added a sharper edge to the interface between the western system and African systems, and increased the levels of institutional tension between African and western models when African freeholders attempted to adapt customary norms to the paper title system. The remainder of the article examines the trajectory of title among African freeholders as a prism through which actually existing trends in tenure practices may be discerned. Legal recognition of the heritability of freehold rights is key to the processes and practices by which African freehold title survived. In contrast, the lack of legal recognition of heritability of communal tenure rights (as conceived by officialdom) is an important marker of distinction between state grants (permits) and private property rights. Heritability and succession move to centre stage for purposes of evaluating the trajectory of African freehold titles. This perspective contrasts with conventional definitions that oppose title and communal tenure with reference to a binary distinction between individual and collective rights. Those who acquired title in Fingo Village and Rabula did so in terms of Grey's freehold option during the decade spanning the mid-1850s to mid-1860s. The first titleholders were culturally homogenous, though their geo-political contexts were somewhat different. Fingo Village is part of Grahamstown, whereas Rabula is rural, situated in Keiskammahoek district of the former Ciskei. Urbanised and rural Africans faced different challenges regarding access to resources and employment, and there was greater socio-spatial cohesion among the rural families. In addition, the villages were situated in two distinct colonial precincts. Fingo Village had been in the old Cape Colony, whereas the village of Rabula was in British Kaffraria. While the Cape followed the common law for white and black, British Kaffraria was ruled by force, edict, experiment and invention, one historian labelling it 'martial law'43 as far as the amaXhosa were concerned. The titleholders were not regarded as Xhosa people at the time (though their spoken languages were similar), being identified as 'Fingo' by the British, an anglicisation of 'Mfengu', meaning supplicants. Most, if not all, the early titleholders in these two research sites shared the 'Fingo' label and a common history of displacement as temporary refugees among far-flung corners of Xhosa territory. The neologism 'Fingo' denotes a category of displaced people identified and so-named by the coloniser, and was not an indigenous name of an ethnic group or tribe. The historiography of the ama-Mfengu is contested44 and not pursued further save to mention that the amaMfengu entered a political relationship of strategic alliance with the British and fought alongside British soldiers against the Xhosa resisters. They responded positively to many of the opportunities on offer, such as education, the franchise and private land tenure. In Fingo Village 318 titles were issued following the survey in 1856. The plots were a uniform size of 1,000 sq m laid out in a grid. The beneficiaries paid for the survey but not for the land since they were the existing occupants. The titling was an early example of urban formalisation after much lobbying by municipal officials who wished to 'clean up' the informal settlement.50 The proposal was finally approved by Grey and his signature appears on their title deeds. To this day the titleholders cite their benefactor as Queen Victoria, whose insignia appears atop their title deeds. The association with a monarch would appear to lend a sovereign dignity to their title, which a connection to the controversial Grey would not. A second intervention provided for the appointment of commissioners of titles (who could be 'native commissioners' in their judicial capacity) in terms of section 8 of the Native Administration Act. Commissioners were empowered to systematically 'update' black titles by notice in the Government Gazette. Their task was to identify and record the 'true' owner of each parcel and they were also given special powers to convey the title to the identified owner, although conveyancing was normally reserved for the private profession.58 Commissioners still exercise these powers in terms of new legislation to the same effect, enacted in 1991.59 The new system allowed for administrative short cuts60 not legally tolerable in the mainstream system. It is necessary to pause here to underline the importance of keeping records up to date. As mentioned, each transfer (including inheritance without a will) results in a fresh deed, the corollary being that failure to correctly reflect the name of a transferee effectively nullifies the validity of the title. The consequences are grave indeed. Both documentary and oral evidence supports the contention that property seldom gets registered when it changes hands from one generation to the next. Sales of property, too, tend to be informally transacted and witnessed. Private property transfers are often not conveyed by private conveyancers as required by law, and are thus only legally conveyed when commissioners adjudicate title. In Rabula, land is informally subdivided among siblings without formal surveys. These are not registered but recorded in memory through local witnessing, and easily adaptable to changing generational circumstances. Wills are almost universally avoided. The 'language' of wills is becoming more common in recent times,61 but seldom translated into action. In the case of Fingo Village and Rabula, some of these interconnecting sequences have been interrupted; for example, in Fingo Village there are obstacles to recovering municipal bills from the living, because the property is owned by the dead! It is not unusual for accumulated arrears in municipal charges to reach five-digit figures, which remain recorded in property records and obstruct future transactions. Thus the entire system of registration has been thrown into disarray. Title commissioners were appointed to update lapsed titles throughout Fingo Village and Rabula at various times. There have been three commissions in Fingo Village, the timing indicating they have followed generational cycles since the 1940s, with a fourth advertised in 2014 as forthcoming. One commission adjusted titles in Rabula during the 1950s and 1960s, 63 and some freeholders were recently warned of an impending new commission there. Almost all the title deeds I examined indicated that title commissioners and not legal conveyancers had adjudicated and adjusted titles, resulting in transfers registered in the name of a selected person. At the heart of the matter (though not seen as such) are the legal rules of succession, which were split between the two bodies of official law. The law dictated that modes of inheritance were traced according to marriage; but western and customary marriages have had different succession rules regulated through the common law or customary law, and these were the rules followed by the white title commissioners in identifying heirs. There were complex consequences. For example, for titles to be valid, each successive heir must be registered separately, each decided by the relevant rules. In cases where the heirs were deceased and never registered, they still had to be identified and registered. The procedures were time-consuming and expensive, but could be obviated by the new simplified measures. The most widely believed reason for registers getting out of date is 'ignorance'. Freeholders' avoidance of the law is interpreted as lack of education or plain slop-piness.64 The second contributory factor is cost. Registration is an extremely costly business in South Africa, a side effect of its rigour by world standards. There is also a prevalent view that sees registration (especially first registration) as biased towards men. In recent times the state has introduced measures to overcome these perceived causes of failure to register transfer. An example is state subsidies to cover the transfer fees of first-time purchasers. Another is registration in the name of both spouses. These changes, including recent reforms of marriage and succession law,65 have not led to notable changes among the habits of titleholders, suggesting that something more systemic is at play. We must keep in mind not only the capacity of state simplifications to transform the world but also the capacity of the society to modify, subvert, block, and even overturn the categories imposed on it... [T]here will always be a shadow land-tenure system lurking beside and beneath the official account in the land-records office. We must never assume that local practice conforms with state theory. By tracing the processes that families have employed to transmit property over time, by unravelling documentary evidence and reconstructing it in the light of people's own narratives, and by carefully inspecting the language people use in expressing concepts of ownership, it has been possible to identify the core norms that frame the meaning of title for African families. The norms are interpreted in terms of kinship relationships which have been adapted to fit the needs of ownership. Property is regarded as a family asset to which all family members have rights of access, held for the family in perpetuity. Individuals cannot inherit the land in their individual capacity or dispose of the land unilaterally. Families are defined in terms of affiliation calculated according to descent, in this case patrilineal descent. The structure is held together by the concept of the family custodian, a representative selected to manage the property on behalf of its members, past, current and future. Respondents' description of family property is framed in terms of its reach in time from antecedents and the present generation to future generations. The key point of departure is the structure of the family itself, which differs from the nuclear family as structured in western-based property systems. The following case68 in Rabula reveals the contrasting perspectives of officialdom and local families on who owns the land. There are tensions between conflicting sources of law and social norms for determining ownership as well as contrasting models of the family. The original family property of the first titleholder, Ndawo, was subject to state scrutiny when an irrigation development was planned in Rabula that would involve a furrow passing through the Ndawo plot. In the 1950s the state (represented by the native administration) needed to create a servitude69 in its favour to clearly differentiate public from private property. To effect this, the judicial branch of the native administration went to enormous lengths to identify the current legal owner, since the title deed was still registered in the name of the original grantee Ndawo, who bought the land in the mid-nineteenth century. The title had not been updated since the first acquisition, as was common throughout Rabula. Various officials and legal experts painstakingly traced the line of descent retrospectively from the date the property was first acquired. The descendants were tracked through two legal routes in accordance with the dual provisions of common and customary law. The distinction between them was made on the basis of whether a marriage had been concluded on the basis of civil or customary law. The divide between the two sources of law had to be recalculated with each successive generation to take into account the marriage of each heir. The complications grew exponentially. In the end, the matter got more and more entangled in legalese, with very little unanimity between the various white customary law experts who debated the matter together. The problem was eventually solved by an administrative intervention. The family had branched into two entities when other properties were acquired in the second generation. The property concerned is known by the name of Ndawo's eldest son John, who succeeded as family head and heir to the original family property. He is referred to as utat'omkhulu (grandfather), while the first grantee is referred to as indlunkulu ('first man') or ukhokho-wokhoko ('original antecedent'). Over 20 letters and memos were exchanged between various officials in the offices of the Bantu Affairs commissioner, chief Bantu Affairs commissioner, legal division of the Department of Bantu Affairs, the Native Appeal Court and the deeds registry spanning a period of four years, with extraordinary fastidiousness and attention to detail. Marriage and baptismal records were sought, family trees were drawn up, and Alastair Kerr was consulted as the customary law expert at Rhodes University. Simon, son of John, alone was consulted from the family. He made a sworn statement to the native commissioner of Keiskammahoek in 1959, witnessed by a female family member, in which he stated: 'As far as I am aware my father John was not regarded as the sole heir, it being understood that the children inherited jointly.' He listed the names of 40 family members, male and female, with rights to the family property. The white officials ignored his testimony, continuing to calculate backwards through the labyrinthine structure of legal pluralism. In addition to distinctions between common or customary rules of succession (for which each marriage in each generation had to be scrutinised), a second dilemma was whether the title still belonged (in theory) to the first name registered, or to the successor(s) in title. If the former, each generation would require discrete and separate conveyancing. If the latter, the marriage and offspring of each potential heir had to be traced and correlated with the respective succession rules. There were further complications in that the law of succession changed in terms of the Native Administration Act 38 of 1927 to exclude community of property from almost all African marriages. A possible application of the old mid-nineteenth century succession laws had also to be clarified. There were further intricate legal complications concerning a great-granddaughter who had had children out of wedlock, and a grandson who took a customary wife after the death of his first wife. These questions were never resolved, nor were they resolvable through legal calculation. The matter drew to a close when a title commissioner discovered that a commissioner had been appointed in terms of section 8 of the Native Administration Act to establish current ownership. This had no direct connection to the water scheme, but was an administrative measure to 'rectify' African title where transfers had not been registered, as discussed earlier. In spite of Simon's statement, the commissioner identified Simon alone as the true owner by virtue, not of the common law, but 'official' customary law, the eldest deceased son having been skipped over because he had had only daughters. The commissioner awarded the property to Simon, and he was registered on the title deed. An administrative solution thus satisfied state requirements, and took the pressure off the need to identify an heir. That drew the matter to conclusion from the state side, and the file was closed. The family, when interviewed,70 were unaware of the succession crisis. They have continued to devolve property according to family custom and trace their ownership to their great grandfather, whom they refer to as ukhokho, founder of their lineage. All agnatically related71 family members, male and female, have rights to the property under the management of an identified custodian.72 Arable land is informally subdivided among the children, and women are allocated fields if domiciled within the patrilocal residence, but these remain under family ownership. The sister of the current custodian has retained her family name, Ndawo, and given it to her three children, thus retaining her patrilineal identity. As a wife she is not entitled to claim rights to Ndawo property. Her eligibility rests on her status as a daughter of the land-holding patrilineage, reinforced by the family name and residence. In the interviews the father of her children was not mentioned, indicating that her children's rights to family property are secured through the patrilineal family name. By retaining the family name she has simultaneously secured her own and her children's access in future. She intends to assume the role of manager from her brother after his death,73 an unconventional step for women by Rabula standards. The story shows how the family views its ownership in terms of genealogical links in an endless chain of familial relationships that cannot be reduced to individuals named on the title deed. This stands in stark contrast to the official view that regards ownership as vesting in the identified heirs reflected on the title deed. This case reveals the different processes engaged to trace ownership. The western-trained experts, even when drawing on custom, follow precise rules of enumeration in contrast to the vernacular approach, which categorises potential claimants. For the freehold villagers, descendants are traced according to social relationships identified by genealogy. Individuals are not named, and claimants not usually quantified, though Simon made an effort to list names when pressed by the officials. The narrative also illustrates how women claim rights as daughters or sisters within the parameters of patrilineal descent. This remains an important means by which modern women claim rights, and is a logical extension of women's access to land in pre-colonial times.74 The official version of customary law under colonial rule misinterpreted this as a male prerogative. 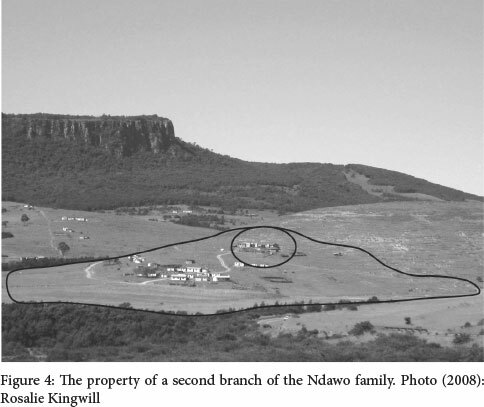 Figure 4 outlines the property of the second branch of the Ndawo family, taken from vantage point of the original property discussed in the story. The second branch has evolved into a sub-lineage of the Ndawo family descended from two younger brothers, now under Seth Ndawo. The two lineages regard themselves as 'one family', umzi omnye, for ritual and ceremonial purposes. The circle shows the main family homestead, which is modern and in some respects sumptuous by rural standards, below which are more modest homes occupied by relatives. There are diverse configurations of family property. Figure 5 shows four family homesteads under one title. The Rabula story suggests three areas where vernacular norms diverge from western law. The first is how the rights of individual family members are conceptualised. The second is the how the social unit that holds land (the 'family') is conceived. The third lies in the modes of distributing and transmitting property by succession and inheritance. These norms are further illustrated in the following case, where the tensions result from market demand for strategically located urban land, which threatens family-held property. In a case in Fingo Village, the family property had been registered in the name of a common grandfather, Jack. Bills continued to be made out in Jack's name, even after his death. The occupants comprised one of Jack's daughters, his grandchildren and great-grandchildren, who maintained close contact with other relatives who lived and worked elsewhere. There were also tenants living on the property, whose rent provided a crucially important source of income to complement their otherwise modest livelihoods. The resident family assumed that the property was still registered in their forefather's name. This made them feel complacent and secure, as it was regarded as definite evidence that the property was owned by them. Registration in the name of an antecedent was not seen as evidence of insecure title, but rather it served, in terms of the norms and conventions of family property, to confer rights on all Jack's children and grandchildren. In another eviction case, a three-generational family managed to retain their rights to the family property by sheer chance. The occupants were aware that a male heir was trying to evict them. He issued a summons through lawyers to his resident relatives, categorised as 'tenants', to remove themselves from the property. He was the only son of the person previously recorded as the owner on the title deed, and thus legally entitled to be the registered owner through intestate succession. As in the first case, he planned to sell the property, allegedly to offset debt. The family firmly believed the law to be on their side, which it is not. They thus sought assistance from legal aid bodies (and myself), whose interventions merely helped to stall the process. The case was never settled until his sudden and unexpected death put an end to his threats, at which point the management of the property reverted to the family's mode of appointing custodians to look after the property, but with no right to sell it. The previous custodian was a woman, as was her successor when the incident occurred. I have traced the norms using Moore's concept of a 'semi-autonomous social field' in preference to 'local' as an analytic lens, since, as Moore argues, state law and local custom intertwine and compete at various levels and in diverse fields of society. The sub-state realm is neither fully independent of, nor fully integrated into, the state legal system.82 Moreover, African freehold cannot be conceptualised in terms of a specified place, corporation or organisation. The actors are affiliated to families that are spatially stretched across diverse social and economic landscapes. The concept of the family is a modern adaptation of lineages, which are not bound or corporate structures. It is misleading therefore to speak of the shadow process in terms of a binary distinction between state and local institutions. Multiple family members are eligible for rights of access, but no one person has powers to own or dispose of the property individually. The concept of custodianship has emerged to protect properties from the very powers of alienation created in law. Among western families it is the opposite: the property belongs to identified individuals with power of alienation or 'dominion'. In both research sites family members own properties elsewhere, which become subject to new contingencies and take on characteristics of family property, but the first purchasers are free to sell. Thus we see that the norm of non-marketability is not a primal rule, but a contingency. Despite the oft-quoted phrase I heard repeatedly, that 'land will never be sold', I never heard it be said that in actual fact 'land is never sold.' The principles must always be combined with context and circumstance. The histories reveal that every decision is relational and contingent, and that norms act as a set of guidelines against which changes are measured. The motive of heirs who sell family property is often to settle debts with local moneylenders, rather than to obtain the property for themselves. These cases result in conflict and emotional confrontations between family members. Those threatened by eviction invariably seek legal assistance and are confused to discover the law cannot help them. Cases such as these provoke legal dilemmas, since there is no 'law' that lawyers can draw from to stay these sales, and they are unfamiliar with the strength and meaning of local norms. The deeper meanings of ownership are embedded in the composition of land holding groups. These are not finite corporate entities. Lineages are different from conventional groups in that they are designed to last in succession, with qualities of infinity. This is unlike the western model, where bilaterally related kin reconstruct the family afresh with each passing generation. This fits neatly with the quantifiable basis of western concepts of ownership, title and more latterly, proprietorship. It does not fit with the African notion of kinsmen and women who are categorised, rather than listed, as eligible. By creating an unending chain of relationships in time and space, the lineage (in this case patrilineage) exists in its own right, separate from its members, and is ironically strengthened by association with title. The closest approximation in western law is a trust or company that is separate from its members. Descent calculated through the male line results in a highly gendered structure of the family,84 as indeed prevails in matrilineal societies too.85 This model is not based on the conjugal unit. Wives have circumscribed rights to transmit property, while sisters and daughters have full access to property as long as they retain the family name and are frequently resident. The idea that customary systems militate against women owning property requires some qualification in that research findings show that the approach readily adjusts to agnatically related women succeeding to rights to property, as daughters and sisters, and discourages any form of individual ownership, male or female. It is rather as wives that women find themselves in tense positions alongside new constitutional models of gender equity and the modern emphasis on nucleated families. In the past the oldest adult male assumed responsibility for the entire family, seen as a polygamous household with wives of each house (even if it was only one) having roles of authority and access to fields, but little control over the family property as a whole.86 It has been no revolutionary change for the role of responsibility to evolve into a concept of custodianship without connotations of heritability, but which emphasises responsibility. Since property requires management (particularly where servicing and billing come into play), it is the older concept of indlunkulu, head of the family, that has yielded to a concept of custodianship, usually referred to in English as 'responsible person'. The virtual abandonment of principles of heritability has led to emphasis on qualities such as responsibility, sobriety, capacity and trustworthiness, thembekileyo.90 The idea that a responsible person should have personal attributes clashes fundamentally with the idea of formal inheritance of the property through the preselection of an appointed heir or heirs with powers of alienation. Such attributes cannot be predicated on wills; nor can division of material property substitute for the role of a caretaker and property manager. Xhosa terminology struggles to find new terms to capture the adaptive features of customary concepts. The idea of 'keeper', 'caretaker', even 'housekeeper', meaning someone who 'looks after' the property, has resulted in a widely used isiXhosa term, umgcini ekhaya (keeper of the home), adapted from the verb ugcina, to look after. The idea of 'keeping the house' nevertheless does not clash with the concept of ownership. Preference for an ancestor on the title rather than a living registered owner can thus be seen as neither an irrational act of negligence nor a voluntary act of subversion. Rather, it is a strategy to protect property against a living owner having too much power over the property. It has the added value of linking the present and future generations to the antecedents who spawn them. This article has focused on how customary norms of social relationships and land holding infuse tenure regimes that are nominally private in character. The stories illustrate the criteria that condition rights of access to, and control of, family property under African freehold arrangements. 'Property' and 'family' are conjoined through principles of perpetual succession and progression through the family line symbolised by the family name, which is in turn symbolised by the paper title itself. African freeholders view their paper titles as a fulcrum on which both property and kinship relationships balance. The name of a forebear on the title reinforces social identity through descent and underscores the centrality of the family name, which in turn perpetuates the family itself. Registration has been separated from its western-law rootedness in individual owners and heirs with proprietal powers. Family property signifies both social identity and access to land, which together facilitate access to social and material resources. Descent and affiliation are combined with personal qualities that contribute to the family welfare, entrusted to a family representative. Taken together, these criteria represent a basis for rights that is regarded as superior to registration of an individual on a title deed. A salutary change in the scholarship has seen the beginnings of reintegration of the domestic and property realms into land tenure discourses. Feminist scholarship has revisited concepts of kinship and the family in recent decades as a way of deepening our understanding of the gendered patterns of inequality in the modern world.104 Pauline Peters goes further to suggest that a focus on kinship should not imply a divorce from matters of the political economy, since, far from being mutually exclusive concepts, familial relationships form a substructure of the political economy.105 Domestic arrangements could be considered as basic building blocks of society. In the African context, law at that level is not 'atomised, egotistical, and contractual and focussed on private interests in property' as it is in a market economy.106 Instead, familial relationships exist in relation to wider, intermeshing social networks that draw from socially validated norms, all of which constitute configurations of power. In situations of uncertainty over, and confusion between, state law and customary norms, customary practices may reinforce relationships of subordination, discrimination and corruption if unsupported by coherent institutional frameworks that accord with constitutional principles and values. This article has attempted to address the social relationships that come to the fore in African property relationships through the prism of land title. The mix of imported and indigenous concepts has not resulted in a functional hybrid. The customary and western norms prevail in various layers of tension and are in some respects in competition with each other. Anomalies and contradictions abound, unseen by the state and even the titleholders themselves. The legal devices devised by the state over the course of time do not address the underlying tensions, but paper over the cracks. Research findings reveal that comparable tendencies manifest themselves in a range of other tenure systems in South Africa, including various constructions of group or community tenure by means of title or communal tenure under traditional forms of governance.107 Neither the common law concepts of property (as discussed in the first part of this article) nor officially endorsed customary law adequately reflect the way people manage their land and property relationships. The division of South African law into a binary between these two bodies of law, as well as between formal ownership and other recognised but 'lesser' rights, impedes the diversity of land rights in South Africa from meshing into one single framework that suits both customary and western norms. Rights falling outside the legal 'ownership' paradigm are locally, but not nationally, accorded recognition in law, which cuts them off from a range of other resources such as national adjudication, dispute resolution, credit and services. Recent land reform initiatives have endorsed, rather than attempted to integrate, these parallel systems. State-enforced law nevertheless has some advantages over sub-state normative orders. Officially endorsed law has supportive judicial, legislative and executive institutions that provide checks and balances to protect society against abuses. 'Shadow systems' have limited access to these mechanisms, and this limitation in turn restricts the scope of prevailing norms that are considered in the formation of law. South Africa's 'super-law', the Constitution, remains accessible as the final arbiter - but its reach, too, is limited. Evidently, then, South African law reform is inherently constrained by the extremely hierarchical structure of property law, which, far from having to be taken as a necessary 'given', evolved to meet the requirements of colonial segregationist policies. Recent attempts at legislating social change from above, without the necessary institutional support, may accentuate rather than alleviate the legal and social divisions that arose under colonial rule. The acceptance of the colonial model by the post-apartheid state effectively endorses a long political history of highly unequal land access, with the 'shadow' land tenure systems permanently subordinated to the western idea of land ownership, with its related concepts of kinship and property. To ignore systems that do not conform to the standards set by this legal hierarchy is to condemn them to the permanent shadows of society. 2 Interview with B. Makuzeni, Rabula, Keiskammahoek district, former Ciskei, 14 July 2006. 3 Interview with M. Makuzeni, Rabula, 15 May 2008. 4 This article is drawn from my dissertation 'The Map Is Not the Territory: Law and Custom in "African Freehold": A South African Case Study' (Unpublished PhD thesis, Institute for Poverty, Land and Agrarian Studies, University of the Western Cape, 2014). 6 Legal texts and scholarship tend to separate the components and view them ahistorically as 'given', as in ownership, succession, registration, conveyancing and surveying, but there are exceptions to that positivist perspective. See M. Chanock, The Making of South African Legal Culture 1902-1936 (Cambridge: Cambridge University Press, 2001); [ Links ] A. J. van der Walt and D. Kleyn, 'Duplex Dominium: The History and Significance of the Concept of Divided Ownership' in D. Visser (ed. ), Essays in the History of Law. (Cape Town: Juta, 1989); [ Links ] D. Visser, 'The "Absoluteness" of Ownership: The South African Common Law in Perspective' in T. W. Bennett, W. Dean, D. Hutchinson, I. Leeman and D. van Zyl Smit (eds), Land Ownership: Changing Concepts (Cape Town: Juta, 1986). [ Links ] For a historiographical approach to the cadastre, see G. Barnes, 'The South African Cadastre: An Overview of the Geodetic Network, Land Registration and Surveying Profession', Central and Eastern Europe Seminar 951, International Federation of Surveyors (FIG) and International Office for Cadastre and Land Records, 1984; and to fencing, see L. van Sittert, 'Holding the Line: The Rural Enclosure Movement in the Cape Colony, c. 1865-1910', Journal of African History, 43, 1, 2002, 95-118. 7 R. Moyer, 'A History of the Mfengu of the Eastern Cape 1815-1865' (Unpublished PhD thesis, School of Oriental and African Studies, University of London, 1976), 260. 9 Quitrent tenure involved state allocations on the basis of annual payment of quitrent, which ceased after a stipulated period. Under the Dutch, boundaries were often estimations, and landholding registers correspondingly poorly administered. These imprecise methods were gradually superseded by compulsory survey and registration under the British. 10 Peires, Dead Will Arise, 313; Moyer, 'History of the Mfengu of the Eastern Cape 1815-1865', 223, 234-40, 259, 360, 380, 390; A. du Toit, 'The Cape Frontier: A Study of Native Policy with Reference to the Years 1849-1866' in Archives Year Book for South African History, vol 1 (Pretoria: Government Printer, 1954), 105-108. 11 W. Hammond-Tooke, 'In Search of the Lineage: The Cape Nguni Case'. (Man, New Series, 19, 1, 1984), 77-93; [ Links ] M. Hunter, Reaction to Conquest: Effects of Contact with Europeans on the Pondo of South Africa (Cape Town: David Philip; London, Rex Collings, abridged edn 1979), 15, 65; [ Links ] Moyer, 'History of the Mfengu of the Eastern Cape 1815-1865', 360; Peires, Dead Will Arise, 414; B. Sansom, 'Traditional Economic Systems' in W. Hammond-Tooke (ed. ), The Bantu-speaking Peoples of Southern Africa (London, Boston and Henley: Routledge & Kegan Paul, 1974, 2nd edn 1959), 139. 12 There were exceptions to all these models, e.g. rural freehold villages configured on similar lines to quitrent villages. 13 Du Toit, 'Cape Frontier', 276; Moyer, 'History of the Mfengu of the Eastern Cape 1815-1865', 354; Peires, Dead Will Arise, 347. 14 The developments in the science of geodesy modernised surveying from planar to geodetic surveying, which takes into account the theoretical curvature of the earth's surface. 15 The Cape was linked to global developments in geodesy when it was selected as a site for scientific research initiated to extend the baseline for measuring the world's land surface taking into account the earth's curvature. The Cape site was used to measure the southern arc of the meridian to complement other arcs, such as the meridian in the northern hemisphere and India. For a summary see http://whc.unesco.org/en/tentativelists/5461/. See J. Keay. The Great Arc: The Dramatic Tale of How India Was Mapped and Everest Was Named. (New York: Harper Collins, 2000). The direct investment by France and Britain in the Cape infrastructure contributed to the systematic development of surveying and cartography in South Africa. 16 Comprising a telescope connected to two rotating circles to measure horizontal and vertical angles. It was modernised in Britain in 1785 in the course of measuring the principal triangulation of Britain from 1783 to 1853. 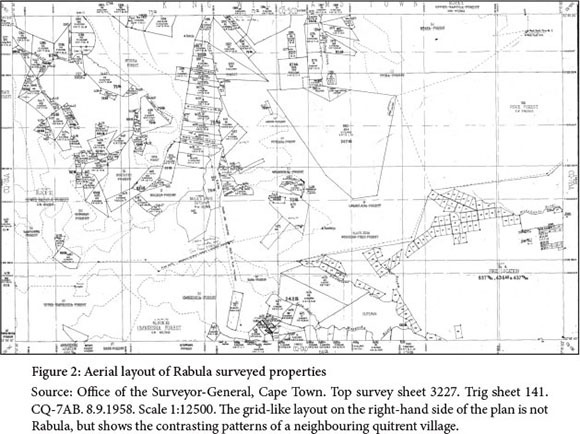 See J. Insley, 'From London to South Africa', South African Journal of Survey and Mapping, 24, 1997, 83-9. Smaller and lighter models evolved for easier transfer to distant and rugged terrains. 20 Quitrent tenure for whites was abolished in stages between 1934 and 1977, automatically converted to freehold. African quitrent titles were retained, though no new titles were issued after the 1920s, and in 1992 they were converted to freehold. See Kingwill, 'Map Is Not the Territory', 140. 21 P. Peters, 'The Limits of Negotiability: 'Security, Equity and Class Formation in Africa's Land Systems' in K. Juul, and C. Lund (eds), Negotiating Property in Africa (Portsmouth: Heinemann, 2002), 45; C. Bundy, The Rise and Fall of the South African Peasantry (London: Heineman, 1979). In the late colonial period, Anglophone governments in Kenya and Zimbabwe imagined they could develop the agrarian economy by converting African customary systems into freehold to foster a class of African peasant farmers with access to new agricultural methods. S. Berry, No Condition Is Permanent (Madison: University of Wisconsin Press, 1993) 125-8; A. Cheater, 'Fighting over Property: The Articulation of Dominant and Subordinate Legal Systems Governing the Inheritance of Immovable Property among Blacks in Zimbabwe', Africa , 57, 2, 1987, 173-95; A. Haugerud, 'Land Tenure and Agrarian Change in Kenya', Africa, 59, 1, 1989, 63-4; F. Mackenzie '"A Piece of Land Never Shrinks": Reconceptualising Land Tenure in a Smallholding District, Kenya' in J. Bassett and D. Crummey (eds), Land in African Agrarian Systems (Madison: University of Wisconsin Press 1993),194-221; Kingwill, 'Map Is Not the Territory', 65; 330. 22 Chanock, Making of South African Legal Culture 1902-1936, 292. 23 Regulations for the administration and distribution of native estates framed under the provisions of subsection 10 of section 23 of the Native Administration Act 1927 (Government Gazette, 20 September 1929, notice 1664), 877; Regulations for the administration and distribution of estates of deceased blacks (Government Gazette, 6 February 1987, notice R200), 21. 24 Government Commission on Native Laws and Customs, Cape of Good Hope, 'Report and Proceedings with Appendices' (Cape of Good Hope, Blue Book 1883, G. 4); South African Native Affairs Commission 1903-5, 'Report with Annexures'; Union of South Africa, 'Report on Native Location Surveys' (UG 42-22); H. Rogers, Native Administration in the Union of South Africa (Pretoria: Union of South Africa, 2nd edn 1949); E. Brookes, The History of Native Policy in South Africa from 1830 to the Present Day, (Cape Town: Nasionale Pers, 1924). 27 Against which 'third parties' may also have rights, on servitudes, for example, which are also surveyed. 29 For the legal history see P. Badenhorst, J. Pienaar and H. Mostert, Silberberg and Schoeman's The Law of Property (Durban: LexisNexis Butterworths, 5th edn 2006), 204. 30 In terms of Governor Cradock's 'Cradock Proclamation'. 31 Badenhorst et al, Silberberg and Schoeman's The Law of Property, 204. 32 Ibid, 205; Carey-Miller with Pope, Land Title in South Africa, 53. 33 Wille, Wille's Principles of South African Law, 38-43. 34 See Van der Walt and Kleyn, 'Duplex Dominium'; Badenhorst et al, Silberberg and Schoeman's The Law of Property, 6. 35 By judicial precedent, see Chanock, Making of South African Legal Culture 1902-1936, 376-377. Van der Walt and Kleyn describe the direction taken as the adoption of 'a dogmatic approach'. Van der Walt and Kleyn, 'Duplex Dominium', 248. 36 At law known as 'intestate estates'. 39 Kingwill, 'Map Is Not the Territory', 307. 40 Peires, Dead Will Arise, 69-82, 337. 41 Du Toit, 'Cape Frontier', 276; Moyer, 'History of the Mfengu of the Eastern Cape 1815-1865', 354; Peires, Dead Will Arise, 347. 44 See inter alia C. Hamilton (ed. ), The Mfecane Aftermath: Reconstructive Debates in Southern African History (Johannesburg: Wits University Press; Pietermaritzburg: University of Natal Press, 1995); T. Keegan, Colonial South Africa and the Origins of the Racial Order (Cape Town: David Philip. 1996), 145, 227, 330; J. Peires, '"Fellows with big holes in their ears": The Ethnic Origins of the AmaMfengu', Quarterly Bulletin of the National Library of South Africa, 65, 3 and 4, 2011, 55. For a good summary, see also L. Switzer, Power and Resistance in an African Society: The Ciskei Xhosa and the Making of South Africa (Pietermaritzburg: University of Natal Press), 1993, 58-9. 45 R. Moyer, 'History of the Mfengu of the Eastern Cape 1815-1865', 345, 355-61, 370, 384, 393. 46 Many other groups in neighbouring villages opted for communal tenure, see Mills and Wilson, Keiskammahoek Rural Survey, vol 4, 4. 47 Statistics were compiled by quantifying information in deed records in the King William's Town deeds registry in 2007, tabulated in detail in Kingwill, 'Map Is Not the Territory'. 48 Known as 'Trust tenure', which was a form of non-heritable permits. It is common cause that these plots were in practice transmitted through families, and some still are. See C. de Wet, Moving Together, Drifting Apart: Betterment Planning and Villagisation in a South African Homeland (Johannesburg: Wits University Press, 1995), 142-3; A. Mager, '"The People Get Fenced": Gender, Rehabilitation and African Nationalism in the Ciskei and Border Region, 1945-1955', Journal of Southern African Studies, 18, 4, 761-82; Kingwill, 'Map Is Not the Territory', 133-45. 49 The term was widely used during my field research from 2006 to 2010. 50 See T. R. H. Davenport, Black Grahamstown: The Agony of a Community (Johannesburg: South African Institute of Race Relations, 2000), 11; Kingwill, 'Map Is Not the Territory', 129-30; 150. 52 Quitrent arable plots were generally about 1.5 ha but later shrank to less than 1 ha, the latter being similar to those in communal areas, but which later, under betterment in the twentieth century, continued to contract. 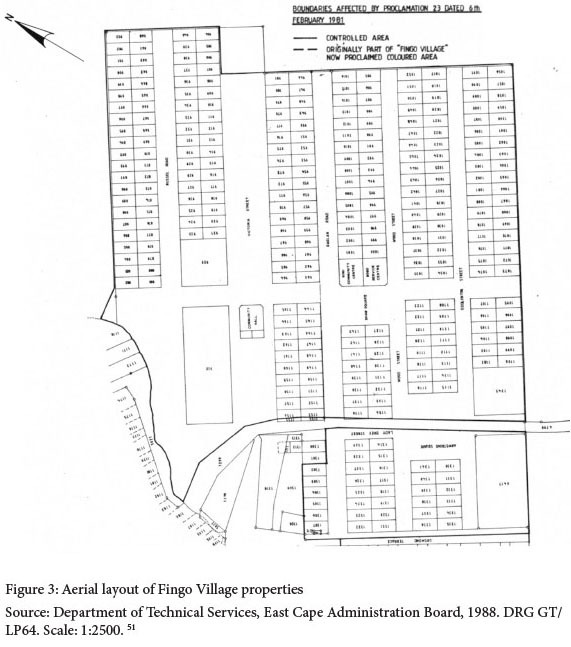 In recent times, rural residents feel very lucky if they get the older 1,000 sq m residential sites (0.1 ha), the size of the Fingo Village plots. 53 Confirmed in my field research in the research sites from 2006 to 2010, as well as other titled settlements over many decades. 55 The inspector of urban locations in the Native Affairs Department said in 1941 that it would be 'an unmoral act' to expropriate 'the entire village' as proposed by the town clerk of Grahamstown, who motivated his recommendation with reference to the arrears of over £1,000, as well as illicit beer brewing, slums and crime. Quoted in Davenport, Black Grahamstown, 12. 57 Rogers, Native Administration in the Union of South Africa, 117. The original Rabula records, numbered sequentially and not according to race, remained in the register of the King William's Town office since they straddled black and white sub-districts of King William's Town prior to the consolidation of the Ciskei. It would appear that copies were deposited in the homeland registry (see De Wet, Moving Together, Drifting Apart, 23) The registries have since been reintegrated. 58 Rogers, Native Administration in the Union of South Africa, 116-8. I have come across numerous examples of notices in Government Gazettes publicising the appointment of commissioners to investigate historical title in the titled settlements. 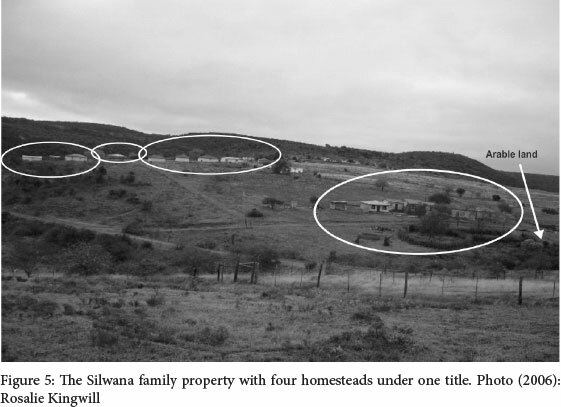 59 In terms of the Land Titles Adjustment Act 111 of 1991 enacted during the late-apartheid 'land reforms'. 60 For example, endorsement of a new name on an existing deed, obviating the issue of a fresh deed; and substituted deeds. The owners were exempt from legal fees. See Native Administration Act 38 of 1927, section 8; Rogers, Native Administration in the Union of South Africa, 116-7. This point was borne out in interview with A. Styles, Registrar, King William's Town deeds office, 10 August 2007. 61 Mainly in Fingo Village, where families strive to protect family property for their children. Interviews with E. Mpande, Fingo Village, Grahamstown, 4 May 2006; Nofele Topsie Gumanda, Fingo Village, 10 May 2006; discussion in Kingwill, 'Map Is Not the Territory', 218-21. 63 Title deeds in Rabula and Fingo Village confirmed these changes. Transfers by commissioners are recorded as 'awards. All the titles in Rabula were re-adjudicated between 1962 and1969 and in Fingo Village in the 1940s, 1960s and 1980s. Kingwill, 'Map Is Not the Territory', 146, 149-52, 287-9. The problems with rates collection by the Grahamstown municipality presumably explains why titles commissions have been summoned more frequently in Fingo Village than rural localities. 64 See n 24; interviews with deeds registry officials, land administration officials and private professionals too numerous to specify. Officials of earlier eras were more inclined to sympathise with Africans' attachment to their modes of inheritance and succession, a view that is controversial in contemporary struggles by African women against the patriarchal features of customary law (Bhe & Others v Magistrate Khayelitsha & Others 2005 (1) SA 580 (CC), 2005 (1) BCLR 1. 65 Following the Bhe judgment, marriage and succession laws have been reformed, and community of property restored and extended to all South Africans including couples married by customary law, now legally recognised as marriage (Intestate Succession Act 81 of 1987 as amended; Recognition of Customary Marriages Act 120 of 1998). See Kingwill, 'Map Is Not the Territory', 270-2, 279-83. 67 Interview with Linda Sindiso Mnyemeni, Fingo Village, 9 June 2006. 68 Reconstructed from the following archival records: NTS 51/337, Correspondence 1959-1962: Bantu Affairs Commissioner, Keiskammahoek, N8/20/3(5), 20 July 1959, 18 August 1959; Chief Bantu Affairs Commissioner, (47) N8/20/3/7, 12 August 1959, 13 January 1960, 4 February 1960, 29 September 1960, 18 January 1961, 23 September 1961, 2 December 1961, 21 April 1962; Secretary for Bantu Administration and Development, NTS 51/337, Rabula Irrigation Scheme, 8 June 1960, 22 August 1960, 29 August 1960, 17 July 1961, 28 October 1961, 5 March 1962, 6 June 1962, 11 June 1962. For a more detailed version, see Kingwill, 'Map Is Not the Territory', 163-9. 69 A legal right to a property belonging to another. 70 Interviews with Silas and Violet Ndawo (pseudonyms), Rabula. 22 July 2006, 31 March 2008, 1 April 2008, 22 July 2008; and with Seth Ndawo, Rabula, 1 April and 16 July 2008. Oral information confirmed in deeds office and survey information. 71 Agnatic relationships are calculated through the male line of descent and apply to all children, male and female, who are associated with the lineage of the original founding father. Wives have a different status from daughters, who have legitimate claims to property. See E. Preston-Whyte, 'Kinship and Marriage' in W. Hammond-Tooke (ed. ), Bantu-Speaking Peoples of Southern Africa, 178-204, for the anthropological analysis of agnatic relationships historically. 72 I discuss the role of custodianship after the narrative that follows. 73 Her brother was extremely sickly when I interviewed the family at Rabula on 22 July 2006 and 31 March 2008. 74 Deduced from evidence in a number of interviews; and see Hunter, Reaction to Conquest, 113. 75 A. Claassens, 'Recent Changes in Women's Land Rights and Contested Customary Law in South Africa, Journal of Agrarian Change, 13, 1, 2013, 71-92; [ Links ] A. Claassens and S. Mnisi, 'Tensions Between Vernacular Values That Prioritise Basic Needs and State Versions of Customary Law That Contradict Them' in S. Liebenberg and G. Quinot (eds), Law and Poverty: Perspectives from South Africa and Beyond (Cape Town: Juta, 2012), 381-402; A. Claassens and S. Mnisi,'Rural Women Redefining Land Rights in the Context of Living Customary Law, South African Journal of Human Rights, 25, 2009, 491-516; A. Whitehead and D. Tsikata, 'Policy Discourses on Women's Land Rights in Sub-Saharan Africa: The Implications of the Re-turn to the Customary, Journal of Agrarian Change, 3, 1, 2003. 76 As suggested by numerous title deeds examined in my research. 77 Interview, Nonwabo and Sindiso Nteyi (pseudonyms), Joza, Grahamstown, 15 June 2006. 78 The problem is not restricted to men. In Fingo Village two female respondents wanted to convert the properties into accommodation businesses but were restrained by family obligations. Interviews, M. Spekman, Fingo Village, 11 April 2006 and 23 January 2008; M. Ngxiki, Grahamstown, 29 September 2006. 79 Interviews, Madinda siblings, Fingo Village, 10 May 2006; D. Mabusela, Fingo Village, 4 March 2010. E. Mpule (pseudonym) specified her daughter as sole heir to the explicit exclusion of the power of a potential husband (interview, E. Mpule, Fingo Village, 4 May 2006). 80 Interviews, S. Celo (pseudonym), Fingo Village, 16 March 2006; M. Mpepo (pseudonym), Fingo Village, 9 May 2006. 81 Interview, W. Mabusela, Fingo Village, 15 March 2006. 83 Moore, Law as Process, 13. 84 The gender dimensions of a title tend to be spelt out in far more detail than usual otherwise. The issues have deep legal and social roots that create numerous layers of tension. See Mackenzie, '"A Piece of Land Never Shrinks"'; Whitehead and Tsikata, 'Policy Discourses on Women's Land Rights'; Claassens and Mnisi, 'Tensions Between Vernacular Values'; Kingwill, 'Map Is Not the Territory', 267-88. 85 See P. Peters, 'Introduction: Revisiting the Puzzle of Matriliny in South-Central Africa', Critique of Anthropology, 17, 2, 1997, 125-46. 86 E. Preston-Whyte, 'Kinship and Marriage', 178-204. 87 Colonial officials codified this model into an invented form of African inheritance of land based on tables of succession in terms of the Native Administration Act of 1927, a form of collateral succession through horizontal links along the male line, precluding women. 88 See minority judgment in Bhe & Others v Magistrate Khayelitsha & Others, para 5; L. Mbatha, 'Reforming the Customary Law of Succession', South African Journal on Human Rights, 18, 2002, 259-86. 89 Interview, S. Baninzi, Fingo Village, 9 March 2010; N. Ncanywa, Rabula, 1 April 2008. 90 From ukuthembeka (to trust). The expression means a person who has proved trustworthy. 91 Interview, G. Kade, Fingo Village, 9 June 2006. 92 Interview, S. Baninzi, Fingo Village, 9 March 2010; D. Mabusela, Fingo Village, 4 March 2010. 93 Interview, B. Cintso, Fingo Village, 9 May 2006. 94 Interview, N. Ncanywa, Rabula, 16 July 2008. 95 Interview, N. Radebe, Fingo Village, 22 September 2010. 97 Peters, 'Introduction, 140; Peters, 'The Limits of Negotiability', 45-7. 99 See Berry, No Condition Is Permanent, 159-80. 100 S. F. Moore, Law as Process, 157; P. Peters, 'Introduction', 129, 135. 101 A. Claassens and S. Mnisi, 'Tensions Between Vernacular Values'. 102 Roitman, Fiscal Disobedience, 90. 103 H. Okoth-Ogendo, 'Some Issues of Theory', 6-12. 104 For an overview, see Whitehead and Tsikata, 'Policy Discourses on Women's Land Rights'. 106 M. Chanock, 'Constitutionalism and the "Customary,'" unpublished undated draft manuscript, La Trobe University, Melbourne. Chanock here is summarising the words of Claude Ake, The Feasibility of Democracy in Africa (Dakar, Senegal: Council for the Development of Social Science Research in Africa, 2000), 174-5. 107 T. Cousins and D. Hornby, 'Leaping the Fissures: Bridging the Gap Between Paper and Real Practice in Setting Up Common Property Institutions in South Africa', PLAAS Occasional Paper 19 (Bellville: Institute for Poverty, Land and Agrarian Studies, University of the Western Cape, 2002); D. Hornby, 'Securing tenure at Ekuthuleni', unpublished paper presented at the LEAP/ KwaZulu-Natal Provincial Planning and Development Association Symposium, Pietermaritzburg, 9 September 2004; B. Cousins, 'Characterising "Communal" Tenure: Nested Systems and Flexible Boundaries' in A. Claassens and B. Cousins (eds), Land, Power and Custom: Controversies Generated by South Africa's Communal Land Rights Act (Cape Town: University of Cape Town Press, 2008), 3-32; B. Cousins, 'Women's Land Rights and Social Change in Rural South Africa: The Case of Msinga, Kwazulu-Natal', Acta Juridica, 2013, 73-99. 108 Scott, Seeing Like a State, 49. 109 Moore, Law as Process, 3. 112 Ake, Feasibility of Democracy in Africa, 178.